Yarn over Berlin - exklusive Garne aus aller Welt - für Berlin und den Rest der Welt. 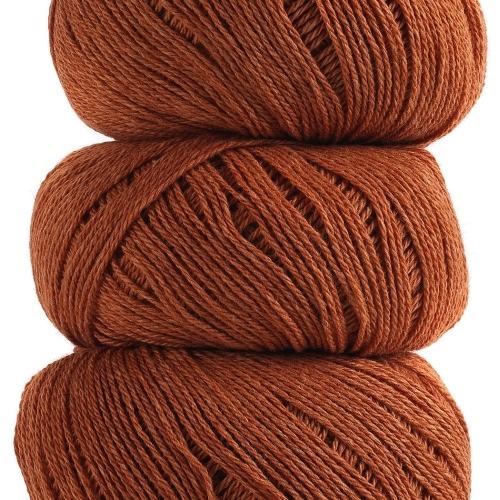 Geilsk Bomuld og Uld consists of 55% lambswool and 45% cotton, mixed and spun together to one unity. The yarn runs 232 m/50 gr. The quality is very suitable for children and sensitive men, as it contains the warmth of wool and the lightness and the "fatness" of cotton. According to EU-Textilkennzeichungsverordnung: 55 % Wool, 45 % Cotton. Find more information here on Ravelry.